A community group has issued a rallying call for help to bag a massive cash boost. Luddenden Foot Community Association is bidding to scoop the money from the Tesco Bags of Help initiative, which, in partnership with the Groundwork charity, sees grants of £12,000, £10,000 and £8,000 awarded to environmental and greenspace projects. The grants are raised from the 5p levy on plastic carrier bags and three groups in each of Tesco’s 416 regions have been shortlisted to receive the cash award. 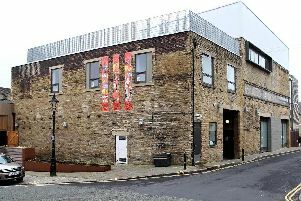 The association is one of the groups on the shortlist and is now encouraging people to visit the Sowerby Bridge Tesco store and place a vote. The grant would help fund the ‘Let’s Play Together Safely’ scheme, which would improve facilities at Holmes Park by providing a range of activities for people of various ages and abilities. The park is used by people of all ages and the association wants to enhance safety by installing an accessible defibrillator secured in a weatherproof box. There are also plans to extend an existing fence, upgrade some paths, provide new play equipment and purchase new planters to brighten up the area. Voting is open in stores from October 31 until November 13. Customers will cast their vote using a token given to them at the check-out in store each time they shop. This is the second round of the initiative. The first round saw around eight million shoppers vote in stores up and down the country earlier this year. Lindsey Crompton, Tesco’s head of community, said: “The first round of the Bags of Help initiative was a fantastic success. “In total 1,170 community groups were awarded £8,000, £10,000 or £12,000 - that’s £11.7 million being invested into local projects.